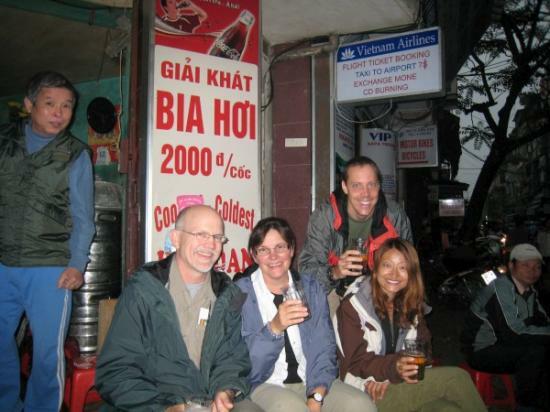 Pictures » Vietnam » "Bia Hoi"
Mike and Lisa buy Mark and Terry a beer at an Old Quarter “Bia Hoi”. The guy that took this photo for us proceeded to his seat and knocked over and broke his glass. The women working was less than happy and expressed it.